We believe that Life is about the journey. 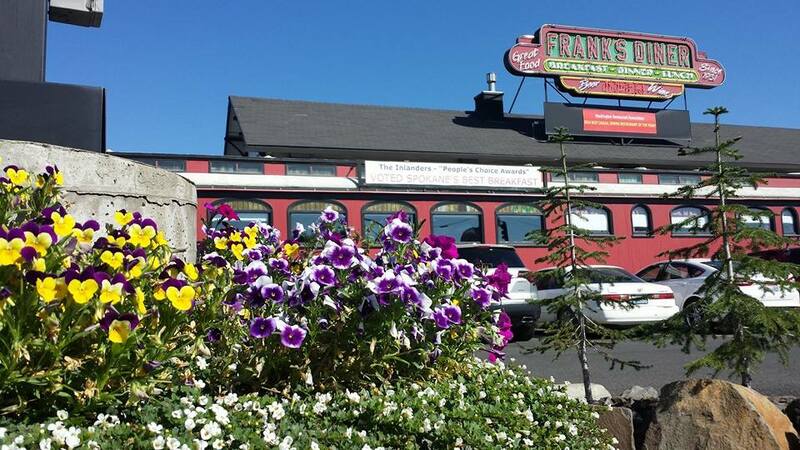 We encourage you to savor each moment with family and friends over a great meal. Open 6am to 9pm every day. 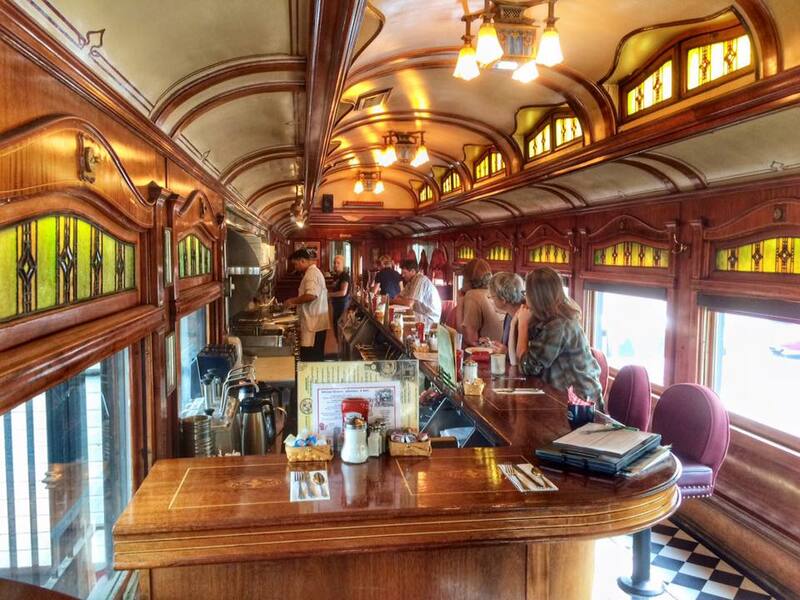 During the golden days of railroading, Barney-Smith and Pullman vied for supremacy of the elegant rail car business. In 1906, Barney Smith manufactured this car as an “observation car”. 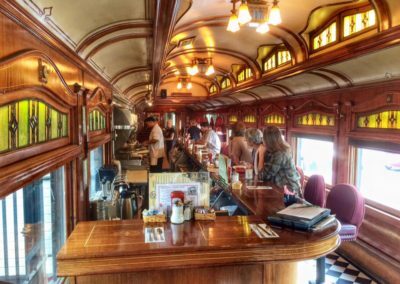 It remained unsold until 1909, when it was purchased by the Northern Pacific Railroad and remodeled to suit their needs as a private car for the president of the railroad. Car NO. 1787 (downtown car) served as a presidential car until it was replaced in 1931. Stranded in Seattle at the height of the depression, NO. 1787 found a new home. 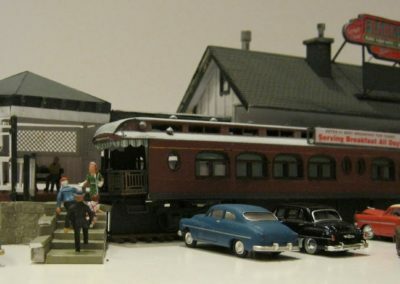 Frank Knight, the brother and sometime partner of Jack Knight of Spokane, bought the presidential car and converted it into a diner car in 1931. With over 100 years of dining elegance we are proud you have chosen to share your day with us. Visit this beautiful 1913 Laketon NO 4216 – With all the presidential elegance of its older brother NO. 1787. 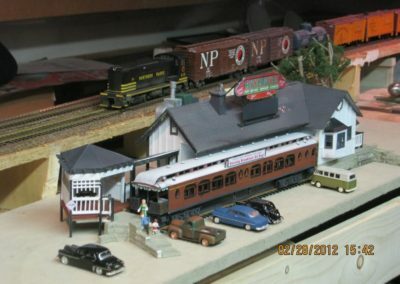 Franks is so loved that this local gentlemen added us to his huge train collection and made us his regular stop station – This looks so authentic we have photos of his work hanging in the downtown location. 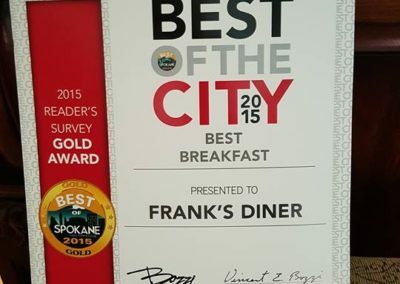 Franks Diner has won BEST DINER and BEST BREAKFAST 18 years by The Inlander’s People Choice Awards. 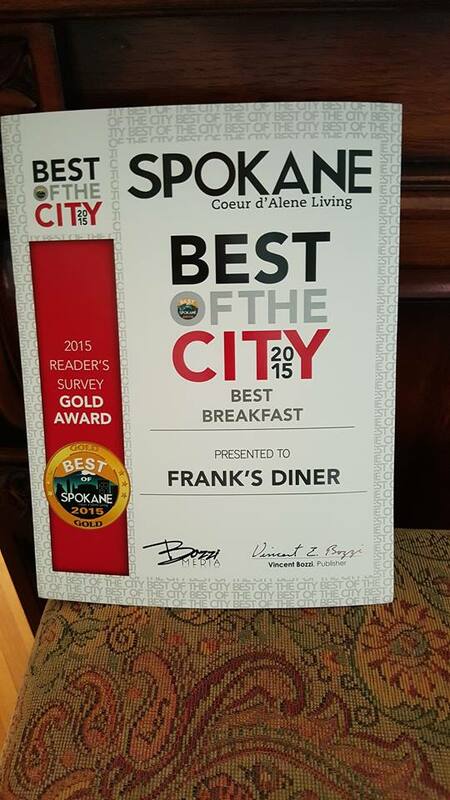 Franks Diner has also won Coeur D Alene Living Magazines ‘BEST BREAKFAST AWARD” for years. We have also won Best Breakfast and Best Diner in K R E Ms “BEST OF” each year since it was founded. 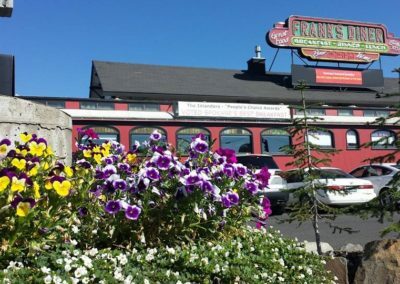 Gage Lee a 20+ year veteran of Franks Diner won the local nomination for the highly desirable ”Silver Spoon Award” by The Washington State Tourism Association in 2008. She then went on and won The National Silver Spoon Award for best service in Atlanta, Georgia. 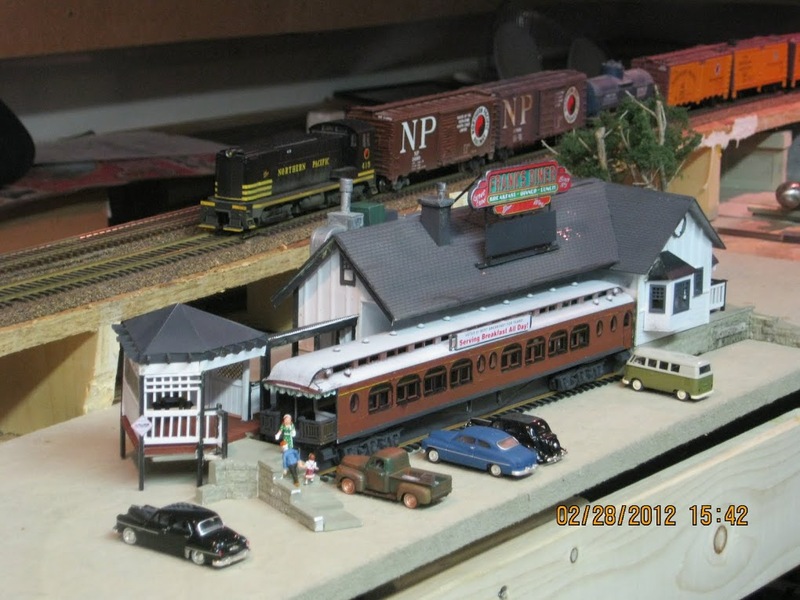 Gage has been with our downtown location since we opened in 1989.